Actress Regina King was chic and sophisticated at Disney/ABC Winter TCA Tour in Pasadena this weekend. Regina wore Bambah's Benny Black Pencil Skirt ($405; www.bambah.com) and accessorized her look with Parade's White and Yellow Gold Diamond Bangles (B3406A; $1,675; ParadeDesign.com). 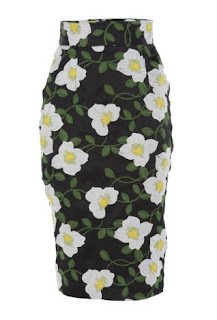 Here is another view of the floral pencil skirt she had worn. Regina also wore Parade's Diamond Earrings (E3723A; $7,200) to ABC's American Crime panel during the TCA Press Tour. Below are more clear images of the bangles she had worn. 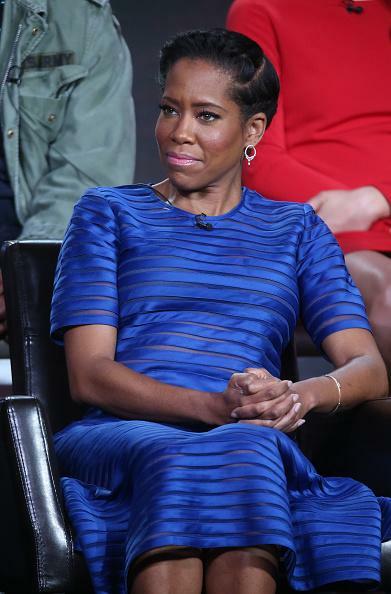 Learn more about actress Regina King on social media, etc.